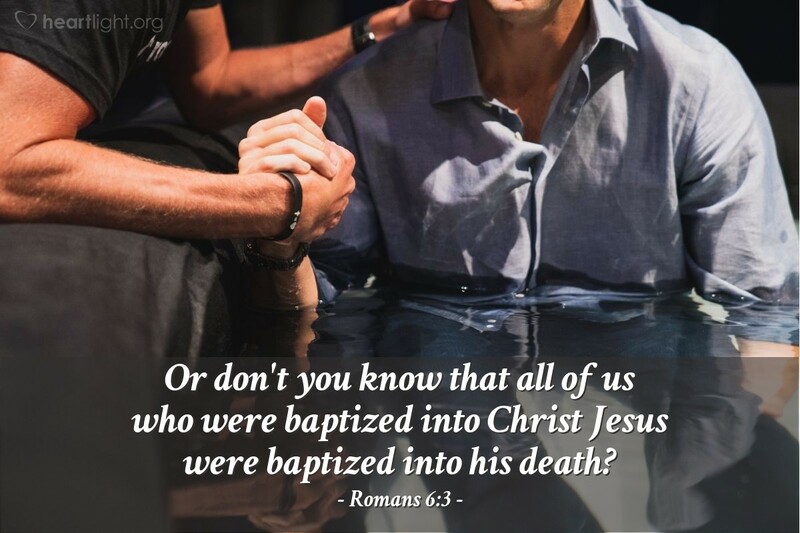 More than an outward symbol, baptism is coming to the core of the gospel (1 Corinthians 15:1-4) and sharing in it by grace (Romans 6:1-15). What an incredible blessing to be able to do what Jesus did at the beginning of his ministry to please God (Luke 3:21-22), and also know that through our faith in God's power to raise him from the dead, our lives can be joined with his until we can share fully in his glory! (Colossians 2:12; 3:1-4). Loving Father, thank you for your grace. Thank you for raising Jesus from death. Thank you for letting me share in that resurrection through faith. Thank you for the assurance I have of sharing in his glory. Thank you for letting me be your beloved child, with whom you are well pleased. Thank you in Jesus' name. Amen.